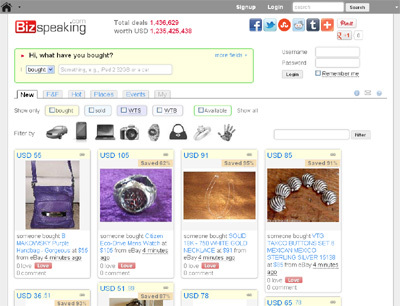 Bizspeaking.com is a social network for buyers. Get connected with buyers around the world and instantly discover and share great deals anywhere, anytime. There is a lack of a means for buyers to connect and exchange information with each other. Bizspeaking.com fills the void by providing such an online platform that can be accessed from the web or via the mobile devices.